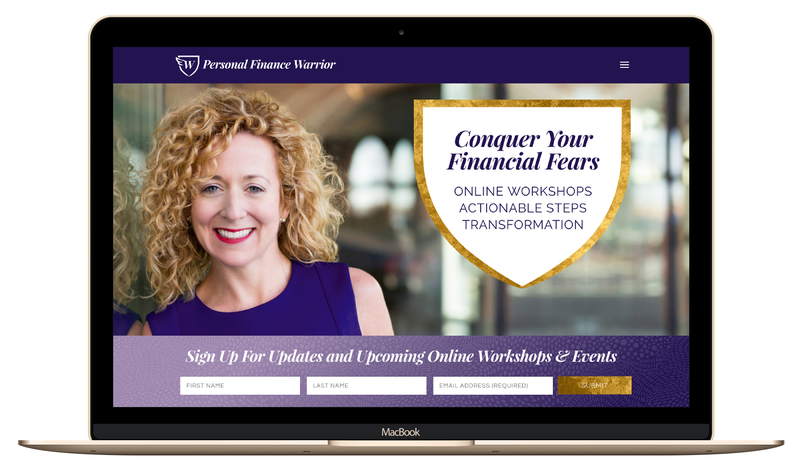 Kelly wanted an updated website and a powerful logo to represent her Personal Finance Warrior brand. 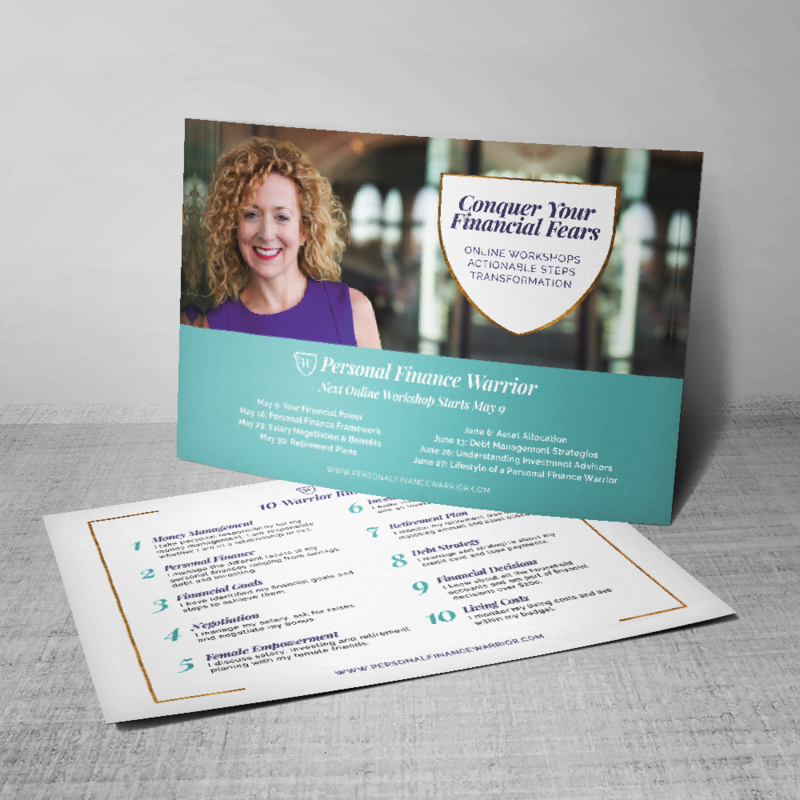 We worked with her to choose colors and accents that would showcase her services and truly demonstrate what she offers to her clients. 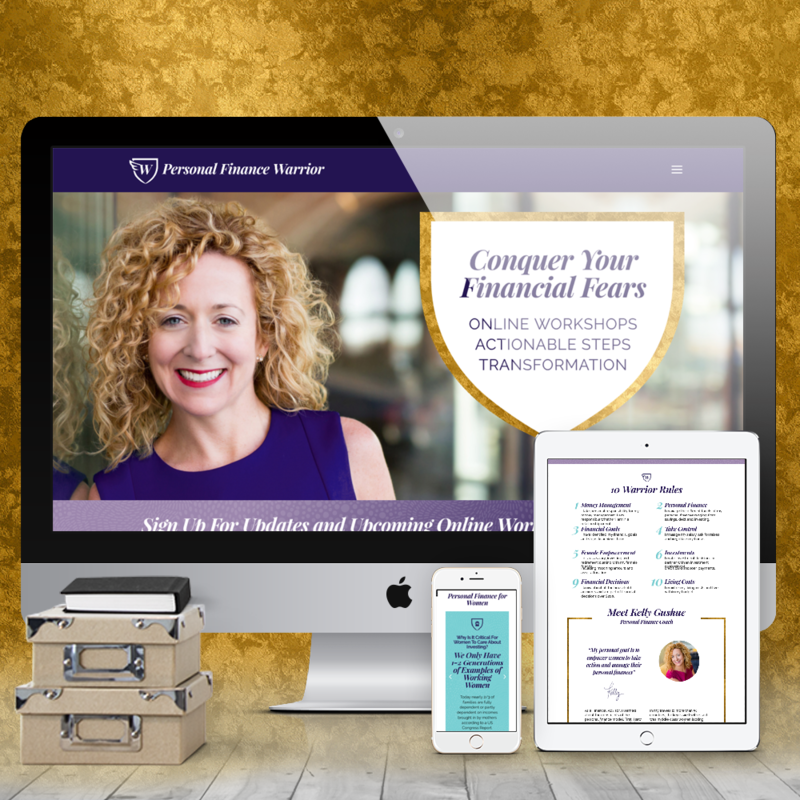 The result is a fresh and clean website that allows visitors and clients to view her workshops, sign up for her newsletter, read her latest blog posts and reach Kelly directly.